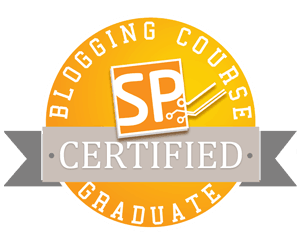 If you are interested in blogging I highly recommend the free email course by John Sonmez; Create a Blog to Boost Your Career. If you don’t know about John you really should take some time. John is the founder of Simple Programmer, which is a great resource on its own. I initially started this blog as something to keep track of things for myself. Which really was kind of a bad idea as it has become more of a mess than something useful. I came across John’s course and thought “Hey, its free. What can it hurt?”. I have not finished the course, but it is great so far. In fact it is because of this course I have decided to change up my blog. Instead of just being my space for information I am going to focus on things I do every day. Of course I will deviate a little, but most of it will be related things I do at my current job. I know there are a lot of other resource out there for web development and such, I just don’t think most of them take into account us enterprise types. Believe it or not working in an enterprise environment is very different than the courses, books, and tutorials we encounter while learning. Back to John’s course though. Even if you are not interested in a technical blog, I feel this course applies to any type of blog. If, and you should, take the course stick to it. Take it seriously as if you were paying to attend a class. He gives homework in each lesson, and will reply to you. I really wish I had taken his course before I started my own blog. Posted on February 13, 2016, in Learning and tagged Blogging. Bookmark the permalink. Leave a comment.